Do you ever get that feeling of deja vu? Didn’t you just ask me that? Watching Spectre and Mission: Impossible – Rogue Nation back to back was one of the most surreal filming experiences I’ve had. The films are almost identical. Similar plot, similar set of characters, but one is a whole lot better than the other. 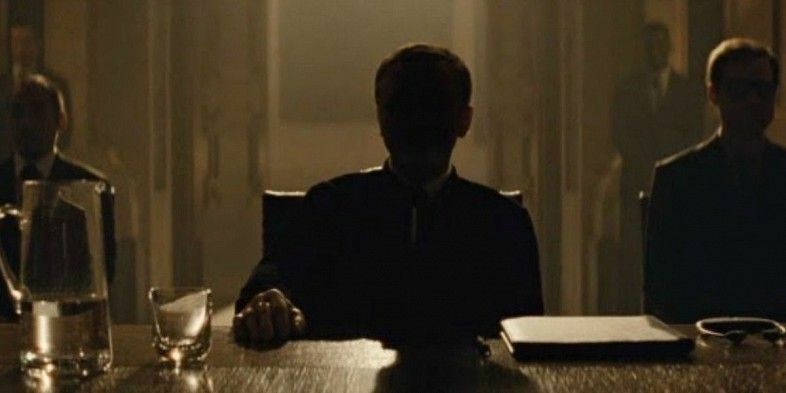 James Bond (Daniel Craig)/Ethan Hunt (Tom Cruise) find himself involved with a shadow organization named Spectre/The Syndicate that is managing world events . But the bigger threat might be at home where C (Andrew Scott)/Alan Hunley (Alec Baldwin) is trying to shut down the program for being destructive and outdated. But when crap hits the fan, it’s Bond/Hunt who swoops in to save the day and prove that the program still has value. The most immediate difference in the two pieces is tone. 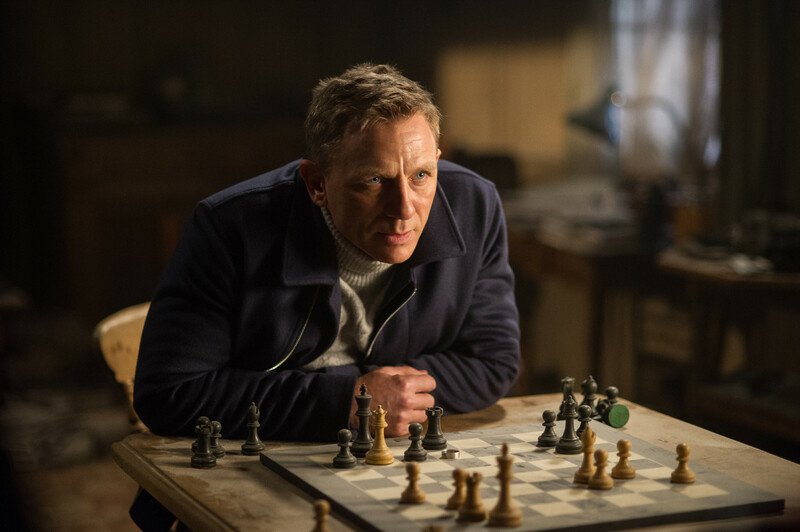 Spectre wants to be this gruff, serious film with a lot of weight and gravitas. From the opening of Casino Royale, Craig’s Bond is a much more realistic, earthy character. 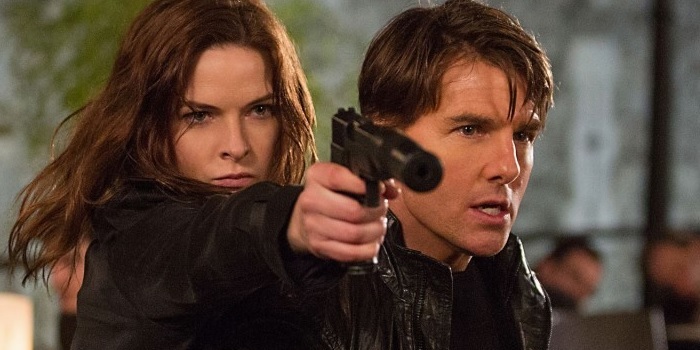 In contrast, Rogue Nation is the typical goofy fun you’d expect from Mission: Impossible with plenty of preposterous sequences and goofy jokes. The problem is that Spectre tries to be funny. Bond quips the kind of one-liners that would make Roger Moore blush. It’s painfully out of touch with the character and the tone of the piece. In contrast, Rogue Nation is effortlessly funny. I feel like Simon Pegg probably gave the director some comedy tips from working with Edgar Wright, because there are a few scenes with a touch of Wright in them. Spectre runs into more problems with the action scenes. They’re bumbling, poorly edited messes that make the action scenes in Quantum of Solace look like a masterclass in action directing and editing. Contrast this with Rogue Nation where the film goes to painstaking detail to make all the action clear, cogent and crisp, much like the action of Ghost Protocol. And then we come to the performances. Daniel Craig feels tired here. He’s simply going through the motions. Even worse is Christoph Waltz, who rehashes his character from Inglourious Basterds, but with none of the enthusiasm. Contrast this with Alec Baldwin, who is having a blast playing a character suited for him. And say what you want about Tom Cruise, but the guy is a solid action vessel that can sell a joke and keep up with the most dedicated stuntmen. Another fatal flaw of Spectre is its attempt to retcon the past films and weave them all into one grand conspiracy. Of course Skyfall can’t stand on its own, it has to be part of a masterplan that actually doesn’t change anything of consequence. In contrast, The Syndicate are just the threat of the week for Ethan Hunt with much clearer motives and actions than Spectre. I’m ready for a new Bond. Spectre squanders all the goodwill Craig and company built up with the series. It’s worse than Quantum of Solace in just about every category. At least it’s not as bad as Mission: Impossible II. In contrast, I’d be up for watching another Mission: Impossible film with Tom Cruise and company. They remain just as entertaining, creative and fun as the first film, something I can’t say about the recent Bond films.